Compact yet powerful air purifier providing sub-micron control of airborne contaminants. Delivers the same benefits as the standard HealthMate for smaller rooms and offices. Highly effective, low maintenance air cleaner for bedrooms and smaller spaces. Five year mechanical warranty for the machine plus five year pro-rated guarantee for the true HEPA/carbon/zeolite filter provides the best long term value, performance and build quality in the air purification industry. Boosted protection from chemical contaminants. 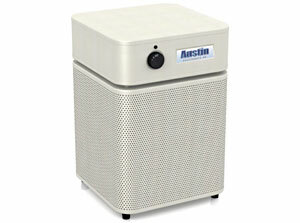 The Austin Air HealthMate Plus Junior air purifier offers all the benefits of the Austin Air HealthMate Plus, with the added advantage of potassium iodide impregnated into a special blend of activated carbon to more effectively remove toxic and chemically-reactive gases. Superior gas filtration provides enhanced protection from ammonia, formaldehyde and benzene, household cleaning products and off-gassing from paint, carpets, furniture, draperies, electronic equipment and newly bought products brought into your home or office. The HealthMate Plus Junior is an ideal choice for smaller rooms in new homes to protect owners against volatile organic compounds (VOCs) and off-gassing from building materials, new flooring and cabinetry, paints, varnishes and sealants. In addition, the Austin Air HealthMate Plus Junior removes bacteria and viruses while offering excellent odour and particle control (e.g., for pollen, dust, mould spores, pet dander, smoke, traffic exhaust). This machine is recommended for people with severe chemical sensitivities (MCS). See the user guide for details about the HealthMate Plus Junior’s efficiency at removing specific chemicals and gases. Powerful, low maintenance air cleaner for use in smaller rooms, , offices and artist studios. Five year mechanical warranty for the machine and five year pro-rated guarantee for the true HEPA/carbon/zeolite filter impregnated with Potassium Iodide provides unparalleled combination of value, performance and build quality in the air purification industry. Austin Air replacement filters are made of premium quality materials for chemically sensitive people. They provide superior air purification for up to 5 years under normal residential use. 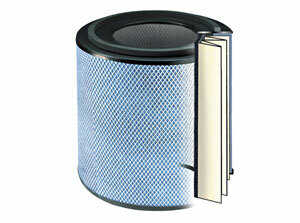 Long-life performance makes Austin replacement filters exceptionally low maintenance and cost effective. All Austin Air replacement filters contain true medical grade HEPA (High Efficiency Particle Arresting) material as well as robust activated carbon/zeolite mix and/or HEGA (High Efficiency Gas Adsorption) carbon cloth. Over time, as your circumstances and indoor air quality challenges change, you can continue to use your Austin Air machine and simply change the type of interior Austin Air filter to suit current requirements. Austin Air filters should be changed every 5 years or sooner if used in challenging circumstances. Austin Air filter changing instructions (PDF). Austin Air replacement filters come with a PermaFilt prefilter. There are 4 types of Junior Austin Air replacement filters which will fit in any Junior Austin Air housing. Austin Air prefilters can be replaced independently of the main air filter, if necessary. Monthly vacuuming from the outside of the Austin housing will prolong prefilter life. Annual prefilter replacement is advised for challenging air conditions and for those who do not maintain the recommended monthly vacuuming schedule. Compact general purpose air filter for dust, allergens, toxic chemicals, gas and odour filtration. True medical High Efficiency Particulate Arrestance (HEPA) surrounded carbon/zeolite mixture absorbs odours and gases plus removes up to 99.97 percent of all particles down to 0.3 microns in size and 95 percent down to .1 micron. Designed to fit into all Junior Austin Air Purifiers. A new Junior PermaFilt pre-filter comes with your HealthMate Jr. replacement filter. Compact air filter for smokers and damp environments. HEGA (High Efficiency Gas Arrestance) technology integrates a military grade carbon cloth for adsorption of odors and gases combined with an outer HEPA filter (Highly Efficient Particulate Arrestance) that traps 99.97% of airborne particles as small as 0.3 microns and 95% of minute particles down to .1 microns. Austin’s HEGA (High Efficiency Gas Arresting) filter material is recommended for mold, fire damage, damp or flood damaged environments. Designed to fit into any Junior Austin Air machine. A new Junior PermaFilt pre-filter comes with your Allergy Machine Jr. replacement filter. Compact filter for Baby’s Room. Same filter as Allergy Machine Junior Filter. Exceptional HEGA (High Efficiency Gas Arrestance) technology integrates a military grade carbon cloth for adsorption of odors and gases combined with an outer HEPA filter (Highly Efficient Particulate Arrestance) that traps 99.97% of airborne particles as small as 0.3 microns and 95% of minute particles down to .1 microns. Designed to fit into any Junior Austin Air machine. 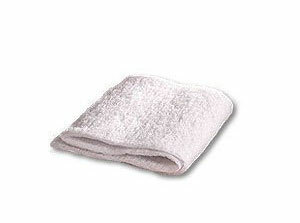 A new White Junior PermaFilt pre-filter comes with your Baby’s Breath replacement filter. Boosted protection from chemical sensitivities. Compact high performance protection for chemical sensitivities and intense concentrations of airborne impurities, occupational pollutants and chemically contaminated air. Offers all the benefits of the HealthMate filter with the added advantage of potassium iodide impregnated into a special blend of activated carbon to more effectively remove toxic and chemically-reactive gases. Superior gas filtration provides enhanced protection from ammonia, formaldehyde and benzene, household cleaning products and off-gassing from paint, carpets, furniture, draperies, electronic equipment and newly bought products brought into your home or office. Designed to fit into any Junior Austin Air machine. A new Junior PermaFilt pre-filter comes with your HealthMate Plus Jr. replacement filter. 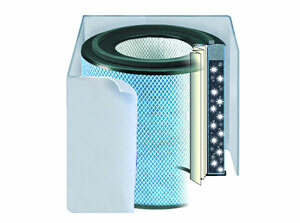 Pre-filter traps large dust particles from entering the inner filtering. Designed to be vacuumed from outside and reduce filter changes. Black pre-filter option if you own a Black or Midnight Blue Junior Austin Air machine.